Space monsters, psycho killers, rag-tag band trying to survive, plus the Worst Eclipse Ever. Pitch Black is a movie that keeps delivering the entertainment by taking so many turns that you happily give up the navigation and sit back to enjoy the ride. 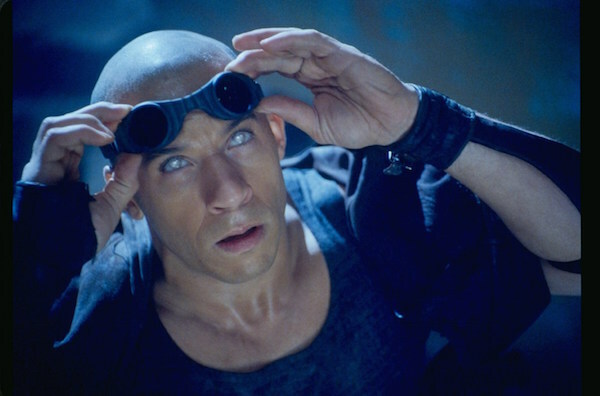 The movie starts with an intense crash sequence, and then ramps things up for the handful of survivors by revealing the escape of psycho killer Vin Diesel. The cop who was guarding him hides his own secrets, and the survivors are simply trying to figure out a path off the desert planet when things go from bad to Monsters-in-the-Dark worse. But what makes this a stand-out is that the characters are never the cookie-cutter trope you think you’re dealing with. Paired with a surprising redemptive story, this is an action film that satisfies on so many levels. It’s rare these days for me to find a romance film that doesn’t make me want to claw my eyes out, and it’s even rarer to find a modern monster movie that can come up with a critter that is entirely new. Spring is both. When I first saw the film at Fantastic Fest, someone else described it as, “If Richard Linklater made a monster movie,” and that’s about right. At its heart, the film is about a young man who goes abroad and finds love in Italy, but there are… complications. The young leads have extraordinary chemistry together, and the script is sharp. Great stuff!